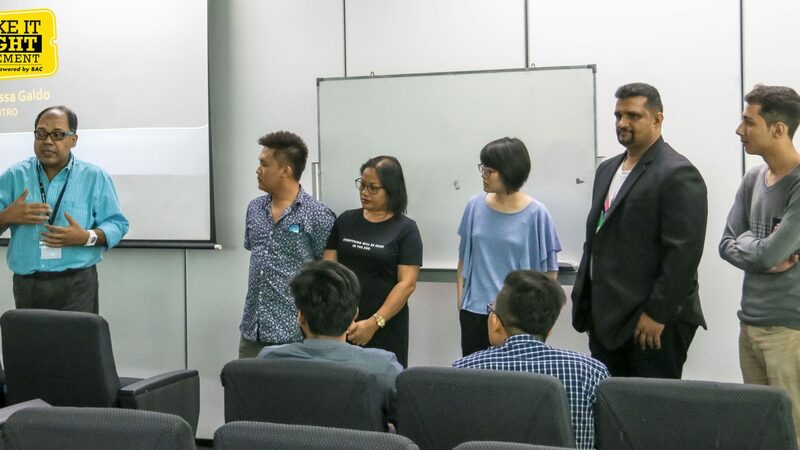 Four dedicated Year 2 UK Transfer Law Degree programme students of Brickfields Asia College (BAC) organised and co-hosted the Human Rights Day Forum 2.0, for the second time around this year. The theme for this year’s event was “OFFER (Only For Future Equal Rights) QR code”. 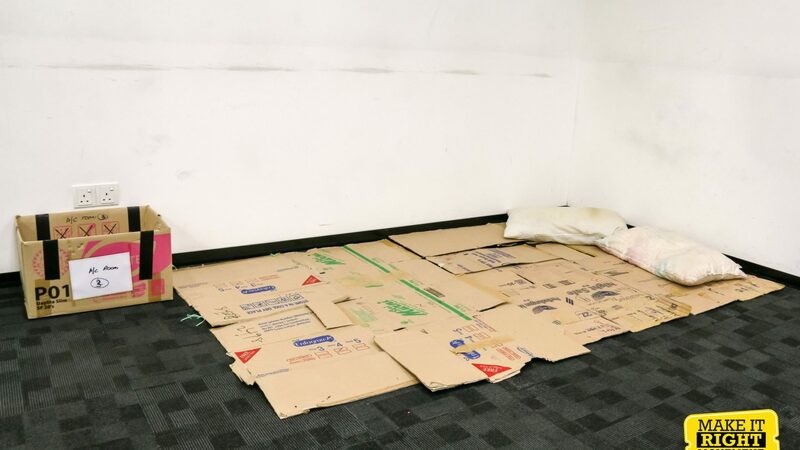 On 19 July 2018, the students set up a creative funfair concept involving a replication of common obstacles and struggles faced by each marginalised community. 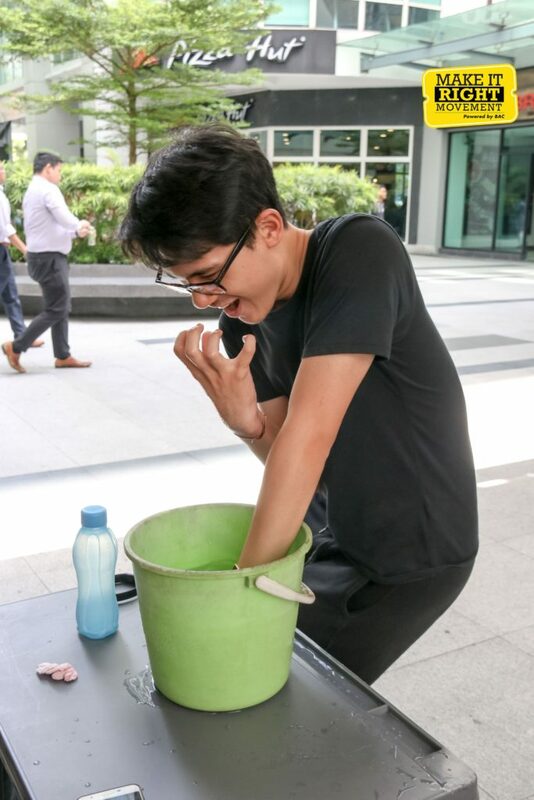 Participants placed their hands into an ice cold bucket for 30 seconds. This activity enabled participants to have a short-term experience of how an individual diagnosed with motor neuron diseases, a type of Rare Disease experiences life on a daily basis. 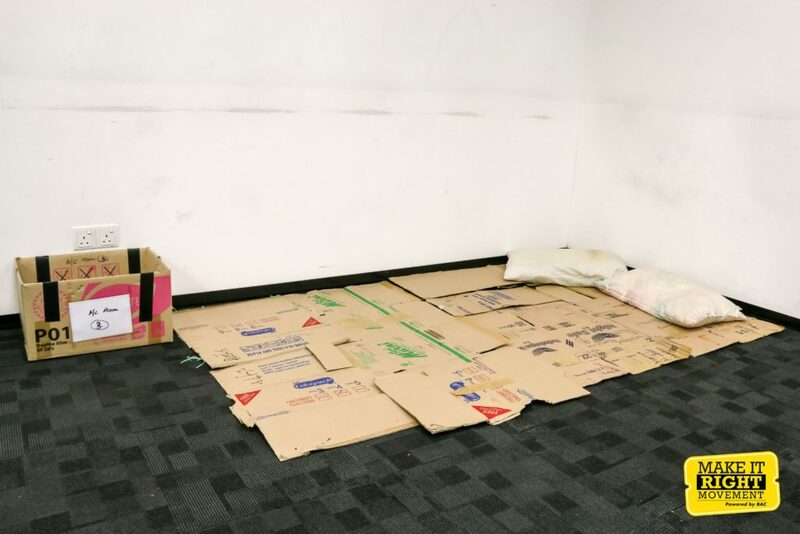 Another interesting activity with a creative touch was the placement of cardboard boxes and old pillows to replicate living conditions of the less fortunate Migrant Workers. Subsequently, on 20 July 2018, four supportive speakers relating to each chosen group were invited to share their stories. They were Sivasangran a/l Kumaran, parent of a child diagnosed with Pompe Disease to represent the Rare Disease Community; Hasan from Al-Hasan Volunteer Network to represent the Refugee Community; Anna Lissa Galdo from AMMPO-SENTRO to represent the Migrant Workers Community and Jade See from PLUHO to represent the LGBTIQ Community. The event was attended by over 40 participants at BAC’s PJ campus. The Make It Right Movement team provided guidance to individuals who took part in this brilliant forum. Our visionary students added an extra touch by planning and developing the OFFER QR code. Basic information about individual rights and important contact details to seek assistance about the four communities mentioned above was compiled by our students. Storage of such information in QR Code format enables greater access to members of the public via handheld electronic devices. This creative idea and method will be retained by new students in the upcoming semesters.